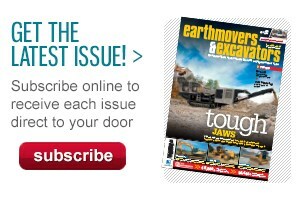 Topcon's new TP-L5 pipe laser. Topcon Positioning Group has upgraded its entire line of pipe lasers, introducing the new TP-L5 series with brighter, clearer beams and improved battery life. 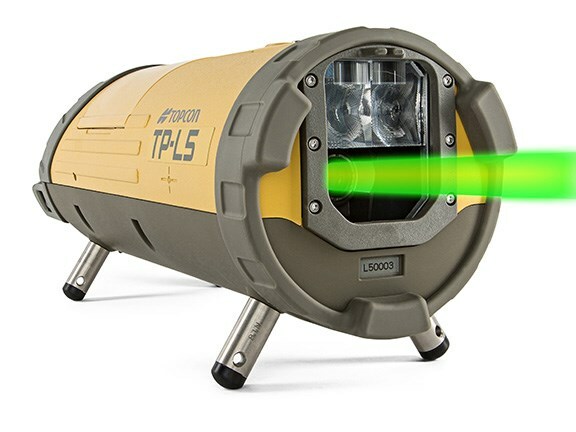 The TP-L5 series offers both red and high-visibility green laser beam options. The latter was pioneered by Topcon almost two decades ago, says Murray Lodge, senior vice president and general manager of Topcon’s Construction Business Unit. With up to four times the visibility of a red beam, the GreenBeam models are designed for use in long-run pipelines and in areas with high levels of ambient light. 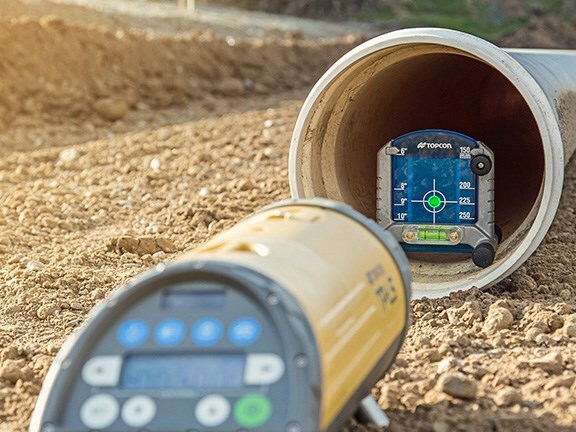 "The Topcon pipe laser family already included many features to speed setup and productivity not found on any other pipe laser," Lodge says. "Now, with the TP-L5 we’ve increased the clarity and brightness of the beam, and improved the operating features." New features include an improved operating panel with a high-contrast display for visibility in all lighting conditions. All models also benefit from improved battery life, with up to 20 percent extended operating time for green-beam models. The TP-L5s also offer fully automatic self-levelling, rugged metal housing, the option of interchangeable rechargeable or alkaline battery packs, and an IPX8 waterproof rating. They come with a five-year guarantee. Both the red and green beam models offer what Topcon says is "the widest grade range in the industry" from -15 percent to 40 percent. Topcon’s exclusive Australian partner for machine control and positioning systems is Position Partners, which recently expanded into Southeast Asia and has a pipe laser trade-in deal until June 30, 2015. 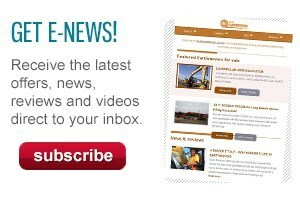 For more information, call 1300 TOPCON or visit www.positionpartners.com.au.